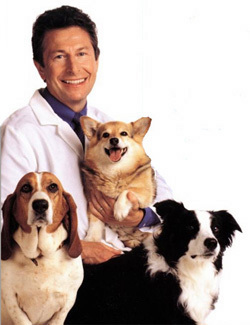 Dr. Nicholas H. Dodman is one of the world’s most noted and celebrated veterinary behaviorists. He grew-up in England and trained to be a vet in Scotland. At the age of 26, he became the youngest veterinary faculty member in Britain. It was at that time that Dr. Dodman began specializing in surgery and anesthesiology. In 1981 Dr. Dodman immigrated to the United States where he became a faculty member of Tufts University School of Veterinary Medicine. Shortly after his arrival, Dr. Dodman became interested in behavioral pharmacology and the field of animal behavior. After spending several years in this area of research, he founded the Animal Behavior Clinic - one of the first of its kind - at Tufts in 1986. He received an additional board certification in animal behavior from the American College of Veterinary Behaviorists in 1995. Dr. Dodman began to see clinical cases in 1987 and since 1990; he has devoted all of his time to his specialty practice of animal behavior. Since the mid 1990s, Dr. Dodman has written four acclaimed bestselling books that have received a tremendous amount of national press. His first book, The Dog Who Loved Too Much (Bantam Books, 1995), was an unqualified success as was his second book, The Cat Who Cried for Help (Bantam Books, 1997). His third book, Dogs Behaving Badly (Bantam Books, 1999) was again a bestseller. If Only They Could Speak (W.W. Norton & Co., 2002) was released 2002 and again in 2007 after The Wall Street Journal listed it as “One of the Five Best Dogs Books.” His latest book, The Well-Adjusted Dog (2007) was intended as a bible for dog owners everywhere; Dog Ownership 101, so to speak. In addition to his own books, Dodman has contributed to and edited two Tufts books, Puppy’s First Steps (Houghton Mifflin 2007) and Good Old Dog (Houghton Mifflin - to be released Spring 2010). Dr. Dodman is internationally recognized and sought after as a leader in his field. In addition to his trade books, he has authored two textbooks and more than 100 articles and contributions to scientific books and journals. He also holds 10 US Patents for various inventions related to the control of animal behavior. 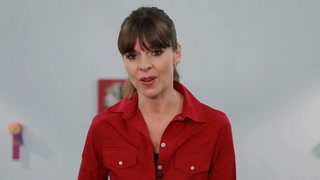 Dr. Dodman appears regularly on radio and television including: 20/20, Oprah, The Today Show, Good Morning America, The early Show, Dateline, World News with Peter Jennings, Discovery Channel, NOVA, Animal Planet, Fox TV, the BBC and CBC, CNN’s Headline News, Inside Edition, MSNBC, NOVA, NPR’s “Fresh Air” and A&E. 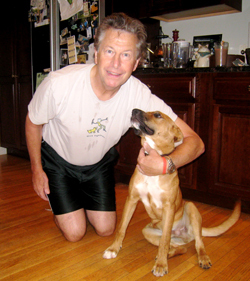 He is an ad hoc guest on WBUR’s “Here & Now.” In addition, Dr. Dodman is a columnist for the American Kennel Club’s quarterly publication, AKC Family Dog. This column was nominated as column of the year (2005). Dr Dodman also writes for the AKC’s Family Dog magazine and Tufts Magazine. Several years ago, Dodman and his veterinarian wife made an air ready television show, “The PetDocs” which is still looking for a good home. Good Morning America producer Patty Nager dubbed Dr Dodman their ad hoc pet behavioral expert. Dr. Dodman attended Glasgow University Veterinary School in Scotland where he received a BVMS (DVM equivalent). He was a surgical intern at the Glasgow Veterinary School before joining the faculty. He received a Diploma in Veterinary Anesthesia from the Royal College of Veterinary Surgeons, and is board certified by the American College of Veterinary Anesthesiologists and the American College of Veterinary Behaviorists. He is a member of the American Veterinary Medical Association, the American College of Veterinary Anesthesiologists, the American College of Veterinary Behaviorists, Veterinarians for Equine Welfare, and is a leadership council member of the Humane Society Veterinary medical Association. Click here for information on Dr. Dodman's upcoming seminar schedule. Dr. Dodman lives near Tufts University with his wife, Dr. Linda Breitman, a veterinarian who specializes in small animals, and their children. Read Dr. Dodman's blog posts here.